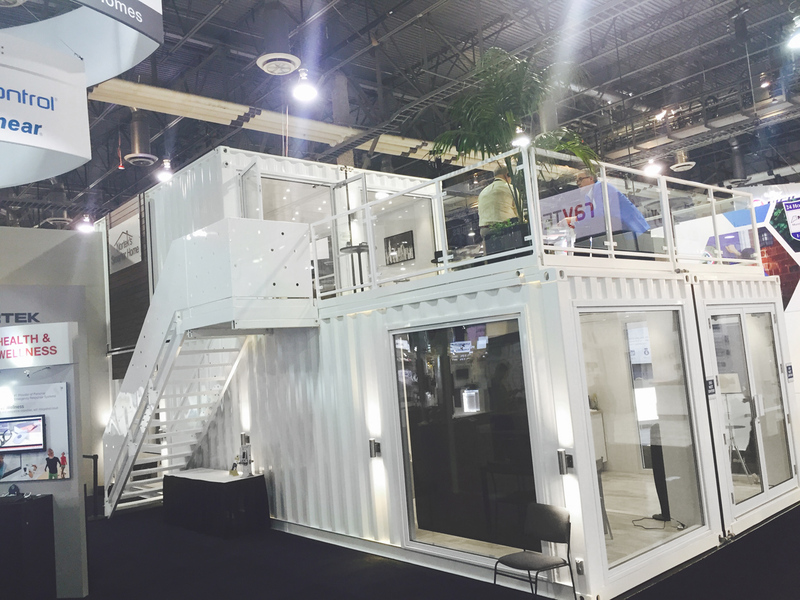 Nortek’s security and controls division wanted to make a statement at the ISC West conference. With over 23,000 exhibitors, it’s the largest and most well-attended security show in North America. The Loki Box Multilevel unit with second-storey terrace and auxiliary signage delivered on so many levels. 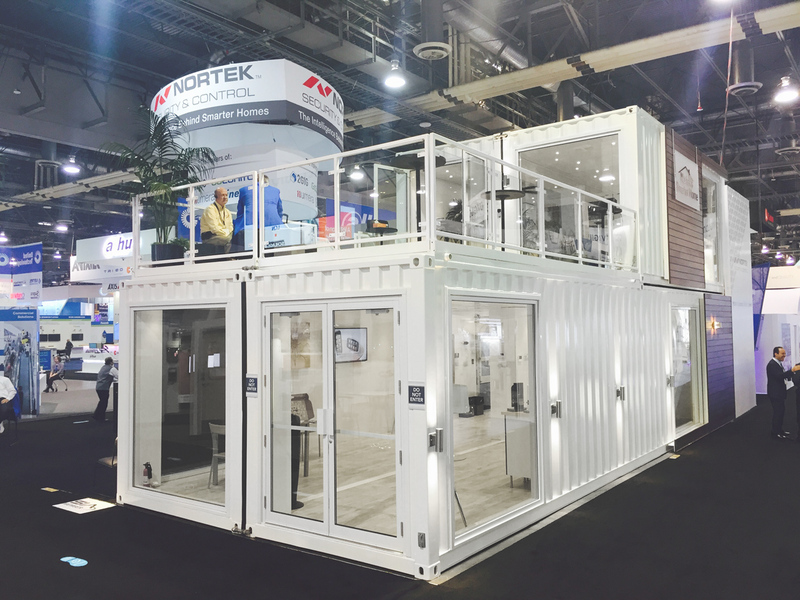 With its floor-dominating stance and imposing height, Nortek’s installation enjoyed immediate visibility from afar and became a reference point on a very crowded Sands Expo convention floor. Inside, configured as a fully-finished Smart Home, the unit became a hands-on, real-time technological showcase, with over 600 industry professionals getting a first-hand experience of Nortek’s leading-edge home security and control products in a realistic smart home setting.